The latest It bag for the 1 percent? 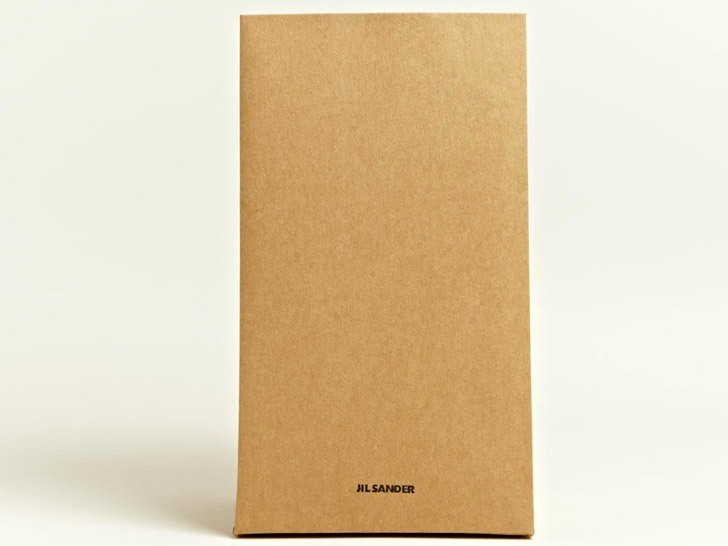 Jil Sander’s “Vasari,” a “long rectangular silhouette” made from 100 percent coated paper. Translation: It’s a glorified lunch sack. And it could have been yours for $290 if it wasn’t already sold out. Sure, it may be a brown paper bag with stitched seams on each side, a couple of gold-colored metal eyelets, and “Jil Sander” stamped in barely perceptible type at its base, but it’s a brown paper bag nonetheless. If Sander’s brand of “Derelicte” wasn’t offensive enough, the designer also offers a black leather version for $630. The only way to tote either model would have to be Sander’s market bag, a $135 carryall derived from 100 percent transparent acetate—a fancy way of saying plastic. Something tells us that folks who can afford to drop that kind of cash don’t pack their own lunches, but what do we know? Quoth P.T. Barnum, this way to the Egress. You can't casually put caviar in a blue igloo box. That's just wasteful. A Spam sandwich on day-old-bread would rival any gourmet $16.00 burger when carried in this ridiculous brown sack. Thanks Jil Sander, I needed a good laugh this morning and this did the trick! A lunch sack that costs more than my yearly car registration - what a hoot! The latest It bag for the 1 percent? Jil Sander's "Vasari," a "long rectangular silhouette" made from 100 percent coated paper. Translation: It's a glorified lunch sack. And it could have been yours for $290 if it wasn't already sold out. 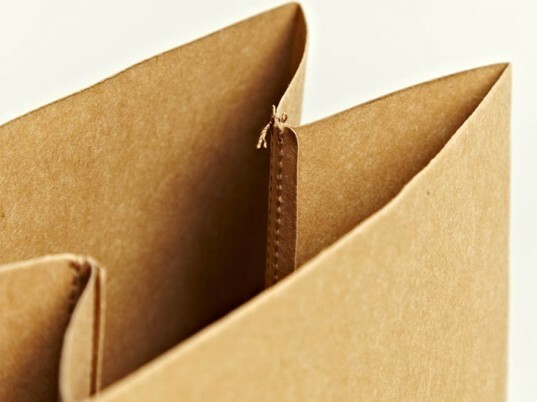 Sure, it may be a brown paper bag with stitched seams on each side, a couple of gold-colored metal eyelets, and "Jil Sander" stamped in barely perceptible type at its base, but it's a brown paper bag nonetheless. If Sander's brand of "Derelicte" wasn't offensive enough, the designer also offers a black leather version for $630.